There are plenty of books, blogs, and articles on design. However, designers really are a visual bunch. After all, designers use their creativity to create visually appealing, stunning, and eye-catching work. Thus, it really makes sense that, when looking for ideas, tutorials, advice, and inspiration, that we look for visual guides. YouTube is the place to look to find the visual guides you’re craving. 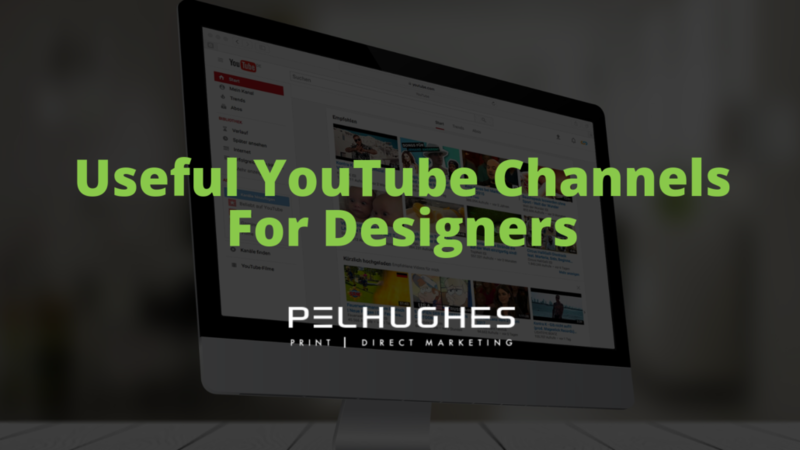 Designers and other creatives on YouTube offer tutorials on software, UX, branding, marketing, and more to help fellow designers, artists, and creatives with vibrant, entertaining, and information videos. The Futur is a YouTube channel dedicated to teaching designers about design, marketing, business, passion, creativity, and more. Videos range from a minute to 35 minutes, all meant to inspire designers. This is a website for both amateurs and professionals, and amateurs looking to become professionals. Youtuber Martin Perhiniak is a Certified Adobe Design Master and Adobe instructor. He was voted one of the top ten Adobe Instructors according to student feedback. He has worked as designer and retoucher on the films Cars and Toy Story, BBC’s series Dr. Who, and Mattel’s Team Hot Wheels. Perhiniak specializes in teaching viewers how to use the Adobe family of products, but he also excels at teaching the basics, like design principles, composition, and best practices. With hundreds of videos, it’s possible that a budding graphic designer may just be able to learn everything he or she needs to know from this channel. Dan “Dansky” worked professionally as a designer for 11 years before discovering his passion for teaching. Now, he works on his video tutorials full time. This is definitely a “pure” tutorial channel, offering tutorials on Adobe Photoshop, Illustrator, and Sketch, as well as a series on designing logos. Howard Pinsky is an Adobe XD Evangelist, with a focus on XD and Photoshop. Designers of every level can find something useful on his channel if they’re using Photoshop, from retouching photos to editing, special effects, and more. The official Adobe YouTube channel is a one-stop shop for videos on using Adobe products. The videos cover a wide array of topics, including a very comprehensive set of videos on photo editing and manipulation. High Resolution is a design channel focused less on teaching designers techniques and more about the business and the process of design. High Resolution has videos from industry experts discussing the design philosophy used by successful companies, the future of design, and the issues and problems inherent in the profession and process of design. This channel helps designers take a step back from the sketchpad and take a look at the bigger picture and the actual business of design, particularly it’s role in marketing and user experience. Benefits of Using Variable Data Printing Direct Mail + Millennials: A Counterintuitive Jackpot?